Metal Gear Survive: KO for Konami? Ask any member of the gaming community and they’ll tell you the past few years have not been kind to Konami. The success of competitors has caused their popularity to dwindle, and much anticipated spin-off games received mixed reviews. And then of course there was that lovely debacle involving the new Silent Hill game. Since their unceremonious deposition of Hideo Kojima (creator of the cult-classic Metal Gear games) people thought things couldn’t get any worse for Konami. 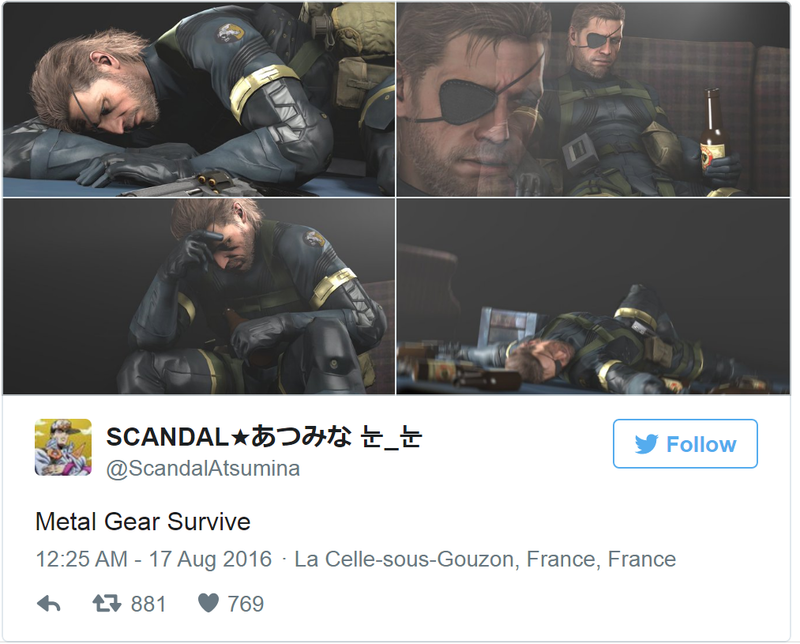 Then they released the trailer for Metal Gear: Survive. As if slandering one of gaming industry’s most respected developers wasn’t enough, Konami has now made MAJOR changes to one of the most respected gaming series. For those unfamiliar with the Metal Gear games, they revolve around an augmented soldier named Snake as he fights against the evil organisation ‘Cipher’ and their mechanical super-weapons, the Metal Gears. The concept might sound bizarre, but the series is one of the best-selling in video game history. Since their 1987 release, the series has sold more than 49 million copies. So as you can imagine, when Konami turned the popular sci-fi/espionage game into a zombie survival game fans got mad. It would be like replacing the zombies from The Walking Dead with fairies. And by ‘a few axes’, I mean practically the whole gaming community. Immediately after releasing Metal Gear Survive‘s playable demo, thousands of fans took to Twitter in outrage. And if those reactions weren’t bad enough, the playable demo on YouTube is doing even worse. Currently Konami’s playable demo of the game has had 716, 846 views, with a meagre 3, 337 likes and a whopping 21, 667 dislikes. Kojima continued on for another minute or so, explaining how the change in narrative elements and themes are further evidence that he isn’t involved. Metal Gear Survive comes out on PS4, PC and Xbox One next year.